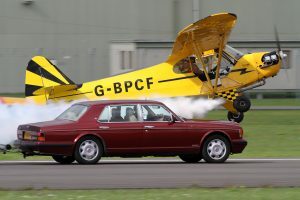 The Award Winning Old Buckenham Airshow is delighted to announce the return of arguably the most successful and entertaining pilot in history, Brendan O’Brien. 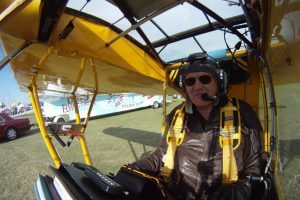 O’Brien last visited Old Buckenham in 2014 where he successfully landed his Piper Cub on top of a trailer moving along the runway. 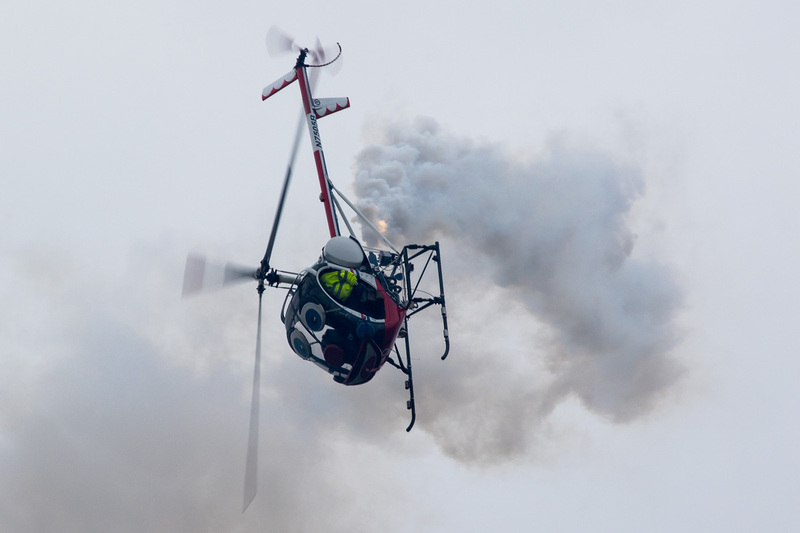 This feat forms part of his legendary “Flying Circus” a firm family favourite on the Airshow circuit for decades. Brendan’s display, aside from being fabulous entertainment, relies on his unrivalled skill and experience. He has over 200 FAI Aviation Records, more than anyone in history. His has a license to fly every type of machine capable of being airborne, from balloons to airliners. His list of aircraft flown includes over 300 types and he as operated aircraft on every continent, including Antartica. Along the way he’s hosted his own TV show, syndicated worldwide and become one of the most admired spokesmen for Aviation flying today. Brendan will be appearing both days at the Airshow and everyone will get a chance to see his extraordinary antics aboard the venerable Piper Cub. He’ll try once again to land on a trailer, a feat which requires ultimate skill. It’s small wonder that Brendan is the only pilot performing such an act in Europe. This year, show goers will get a chance to see even more of Brendan’s skill than before. 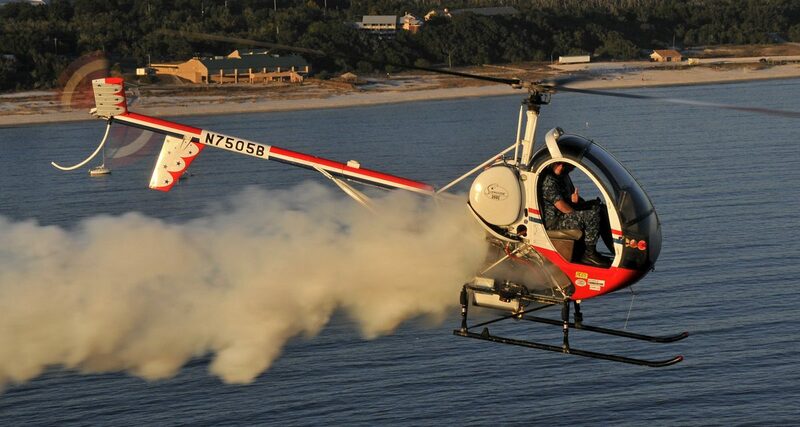 The Airshow will see the debut in Norfolk of Brendan’s latest acquisition, Otto the Helicopter. A fixture in the US, Brendan managed to acquire Otto in 2016 and bring him permanently to England. Otto, in the hands of a master aviator like Brendan, is capable of simply extraordinary and entertaining feats. Otto, by way of example, is the only helicopter which likes to play with a yoyo; in this case a specially made toy with 3ft diameter. The Airshow is also delighted to confirm that a 1943 Beechcraft Staggerwing will display on both days. The Staggerwing is often voted as being one of, if not the most beautiful aircraft of all time in surveys. Only the Supermarine Spitfire appears as routinely in such surveys. The aircraft is also one of the most advanced for its time ever built. Capable of taking off from small grass landing trips, it can cruise for a thousand miles at 200mph before landing on another small grass strip. The example displaying is named High Maintenance. 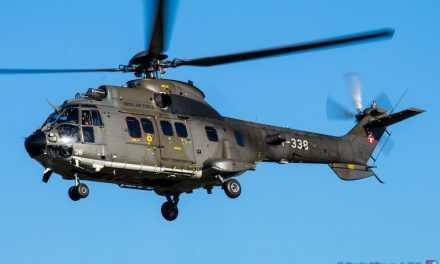 Once affectionately described as the most effective means of turning money into noise, the aircraft earns her name not least because she is fitted with (and needs) six fuel tanks. On the ground the Airshow, the EDP Hoseasons Tourism Awards ‘Family Event of the Year’ in 2016, continues to make improvements. New facilities for families, including baby changing facilities are being planned. An improved site layout will add more viewing space and more entry lanes will limit queues at peak times. royalty, dignitaries, celebrities and guests across Norfolk. NextAIRSHOW NEWS: Rich Goodwin Airshows set to entertain and innovate with Anana, Pushing CX to new heights!